You must have heard about Google Plus Business as it invades the social media market; Google is definitely the number one search engine which is beneficial for any internet marketing for small business. With the new Google Plus, business owners can create their very own page and display it on Google’s very own social media platform. Small to medium-scale businesses can now have a fair take on the web with this generous small business advertising opportunity. The new Google Plus has features that are comparable to Facebook. You can create your own profile for your business, post photos and videos and place all your new coupons, bargains and deals to share with your customers and potential customers. Groups of contacts on this platform are called Circles . There is also a Plus Button that you can add on your website and blog sites that your customers can use to Like your products, pages and posts. We at Small Business SEO Success, recommend that small business owners take advantage of Google Plus by creating and optimizing a page for your business. This will not just add a link to your business page and a Google + button for your customers to recommend you but could also help improve your site rankings on Google’s prestigious organic search page. Businesses that have listings on Google Plus reach more customers than the usual search engine since the popularity of Google is unsurpassed. More and more people are now using mobile computing devices like PDAs, tablets, smart phones and android phones to access local shopping sites and out of these people about 88% will buy products or purchase your services within 24 hours. 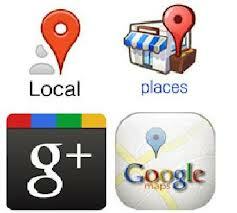 It is also important to note that 70% of people that look for local businesses use Google Plus Local. With these great advantages you will have more customers that are ready to buy from you! The +1 feature of Google Plus further improves your business popularity; when a customer clicks on the +1 your small business basically gets a recommendation or a digital referral. Getting more plusses on your business site totally improves your visibility; this action also shows up in feeds which are displayed to all their followers and friends. Our social media marketing team at Small Business SEO Success will help you encourage your clients to place that precious +1 further attracting more customers and even lead to other customers to come back for more! Get more positive reviews that will not just improve your online reputation but will also drive would-be customers to buy. We are experts in planning strategies to encourage customers to review your product or service and we will recommend a plan for building reviews to be used for your marketing and small business campaign. With the use of Google Plus Local, detailed reporting is faster with Google analytics. You will easily find out how many people access your site and even find out what your market is looking for during the rest of the year! Imagine the return of investment that you can look forward to when you use this great internet marketing strategy. Small Business SEO Success will help you setup your Google Plus Business setup; contact us now.